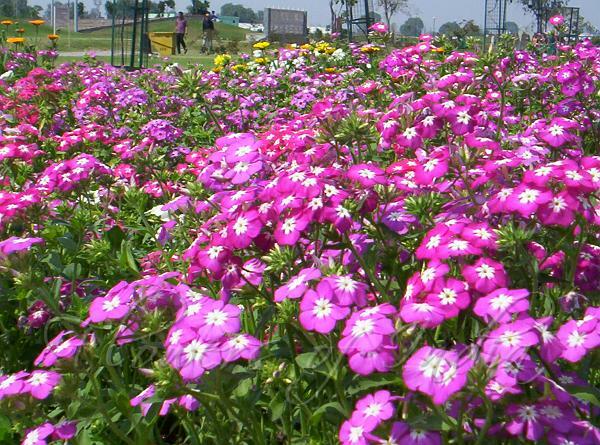 Annual Phlox is an annual, growing from seed each year. The branches have sharp, pointed, lengthy, ciliated leaves with rounded flowers. The flowers are single or double, with lightly scented, flat, star-shaped petals. The flowers mature to 2.5 cm in diameter. The flowers can be white, red, magenta, lavender, or pink and usually have a lighter-colored "eye" in the center. Important cultivars and hybrids include 'Brilliant', a tall, long-blooming phlox that comes in several colors; 'Chanal', a pink double that looks a little like a rose; 'Globe', Dwarf Beauty', 'Petticoat', and 'Palona'. 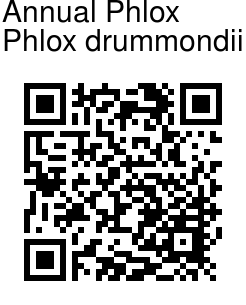 Annual phlox is native to Texas, where is was first collected by its namesake, Thomas Drummond (1790-1855), a Scottish botanist. Identification credit: Bharati Kashyap, Anil Thakur Photographed in Delhi.